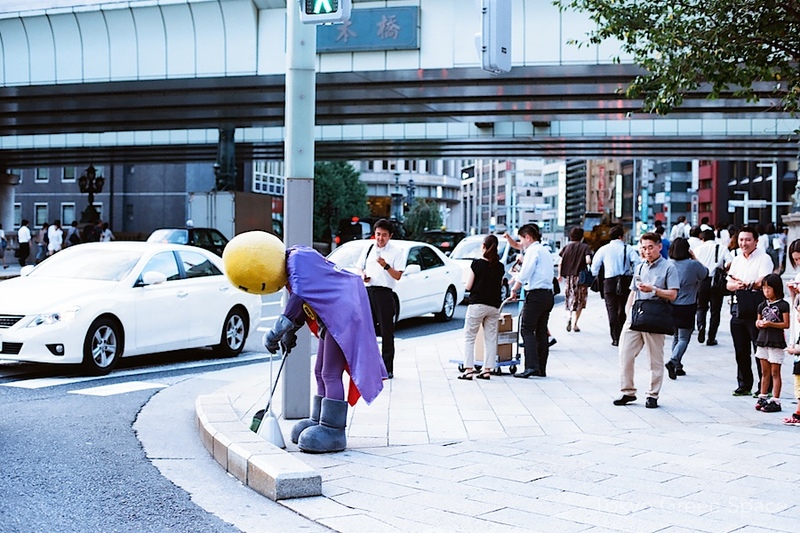 This superhero’s tools are a broom and a dustpan. Mangetsuman even works on the hottest summer days. He explains his vision came to him in a dream, and he inspires others to also assemble here with broom and dustpan. Most of his fans get his superhero business card. He gave me a micro-box of lemon drops. Special! Blame the last Olympics for the freeway running on top of Nihonbashi bridge. 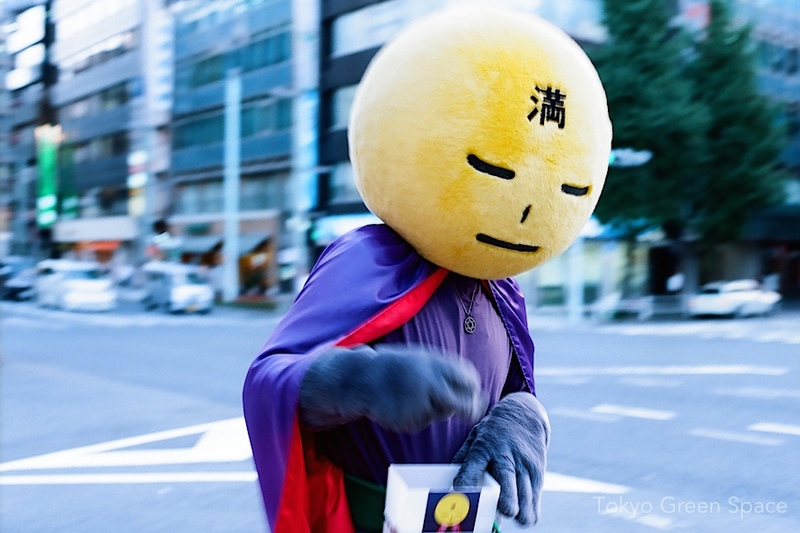 Mangetsuman, a costumed cleaning superhero, armed with broom and dustpan, had a dream one night and decided to take on the mission of cleaning up the bridge. 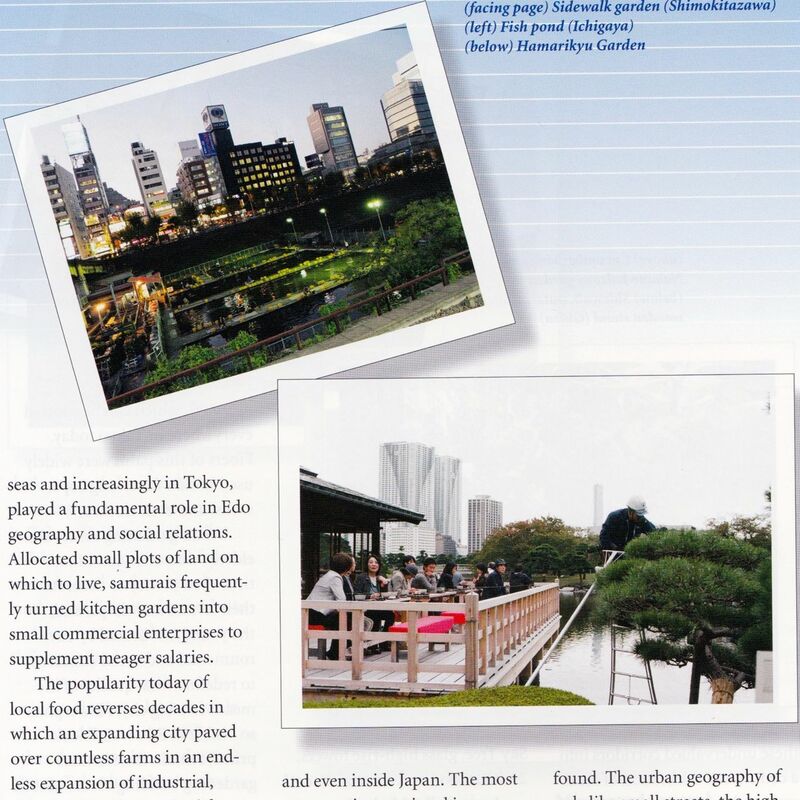 Thanks to Shu Kuge, LiVES magazine published a two page article with original photographs about Tokyo Green Space in their current issue. Maybe you have seen this already? 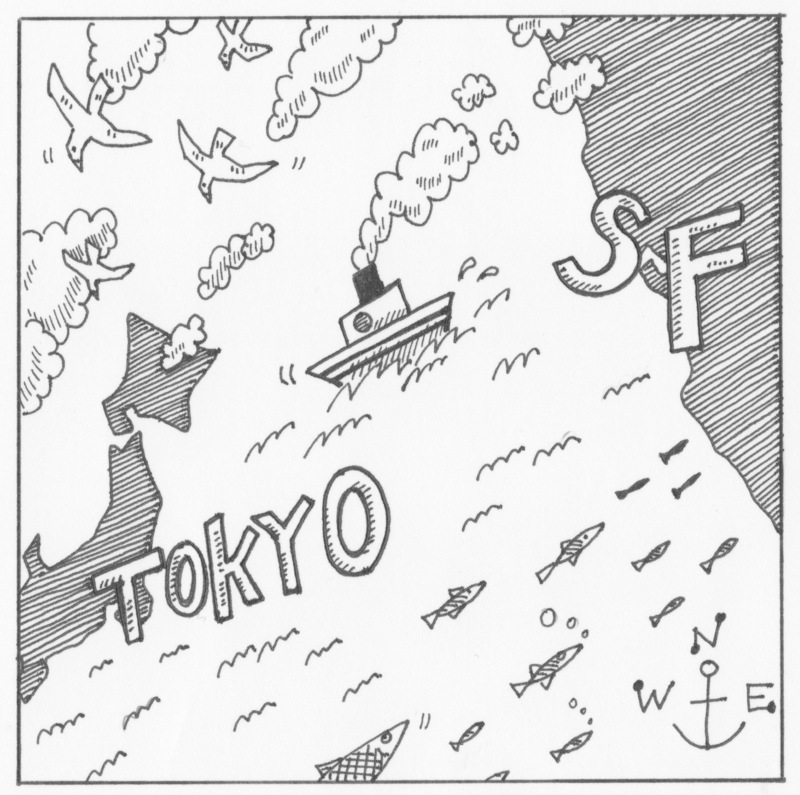 Comic artist Shu Kuge made this map showing how the ocean connects Tokyo and San Francisco. For my first business website thirteen years ago, Shu drew a very memorable office map and staff avatars. I am lucky that he has created something new for Social Models, my new design research studio that is co-located in these two great port cities. Ikebana International asked me to write about Tokyo street gardens and share my photos for their member-supported publication that dates back to 1956. Thanks to the editor Kim Schuefftan for allowing me to reach a very different garden audience. 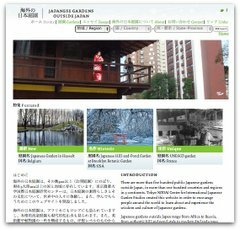 I am curious what Ikebana International and Tokyo Green Space readers think about the article, Tokyo Street Gardens: Unrecognized Beauty (7 page PDF, 1.4 MB). Volume 58, Issue 2, pp 24-30. 2014. These NHK images show how, over the past several centuries, Tokyo filled in the bay, built canals, and later, in the last satellite image, filled in the canals. 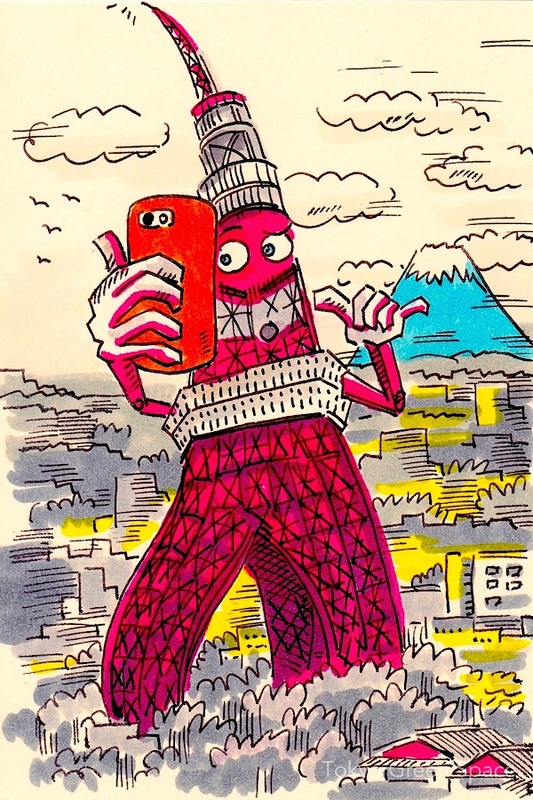 (Via Mutant Frog Travelogue). 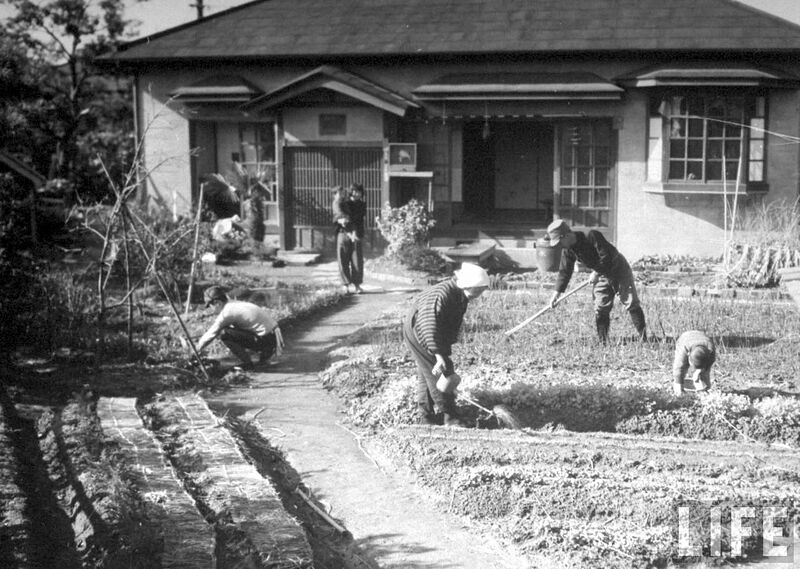 This is an image of a residential vegetable garden during the war in Tokyo from March 1944, published by Life Magazine. It comes from an amazing urban agriculture website called City Farmer, out of Vancouver, Canada. United States residents are aware of our country’s World War II “victory gardens,” recently revived by the Obama White House. Yet somehow seeing a similar war-time image in Tokyo, shortly before the city was decimated by fire bombs, is surprising. In times of war and scarcity, urban residents naturally turned to growing food in their gardens. Are today’s combination of unemployment and climate change enough to generate an equally widespread movement in global cities today? What skills have urban residents lost? What governmental and non-governmental resources could make urban agriculture a significant source of food? Some images of the Obama’s White House garden after the jump. In one of the densest, poorest and most dangerous San Francisco neighborhoods, a university class and an art gallery have created what they dub the Tenderloin National Forest. A San Francisco State University class and The Luggage Store Gallery have created a much needed green space, and appropriated the name and logo of the national forest service. On the other side of the Atlantic, class spectrum and new versus old developments, today I also read about Vauban, a new suburb in Germany that puts cars in collective garages on the periphery and devotes its narrow alleys to pedestrians and bicycles. It is a new development on an old military base, connected to the city of Freiburg by tram. And it is planned to reduce global warming and to improve the residents’ quality of life. The funny thing is that this new suburb’s street priorities are not that different than most of residential Tokyo. Green cities, where the urban forest replaces concrete slabs, are receiving new support from city governments and corporations. 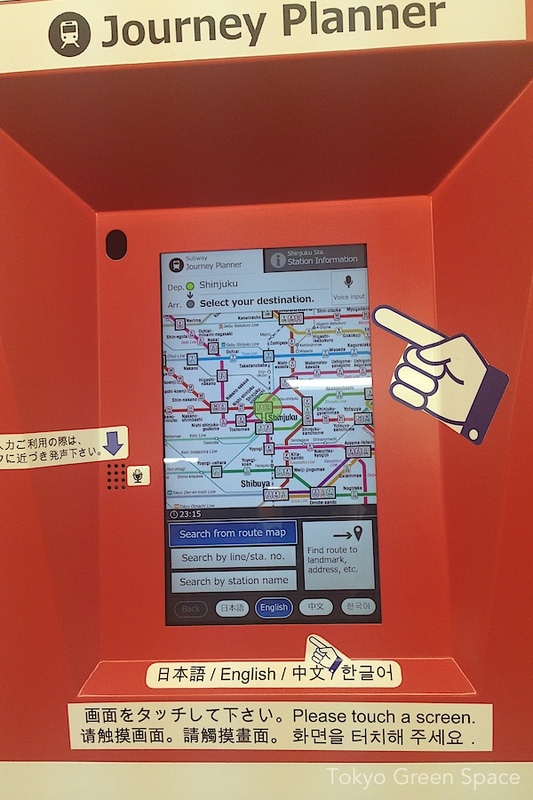 The Tokyo Municipal Government announced many exciting green city initiatives starting in 2006 in a ten year plan for transforming the city in its bid for the 2016 Olympics. Other motivations include climate change, heat island effect, energy efficiency, and tourism. 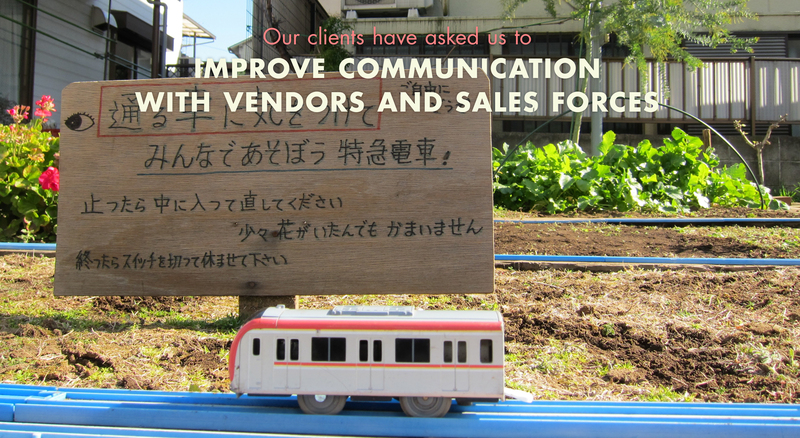 Japanese governments and corporations are begining to promote their leadership in green cities for a global audience. It is a pleasure to see Hitachi, a sponsor of Tokyo Green Space, promoting environmental diplomacy in China. Under Hitachi’s China Energy Conservation and Environment Commercialization Promotion, Hitachi activities include sharing water treatment technologies with Sichuan University and hosting an “eco-cities” conference with Chinese government organizations and corporations. Hitachi CEO Kawamura Takashi is backing an unprecedented 2025 Environmental Vision in which Hitachi products will reduce global CO2 emissions by 100 million tons. 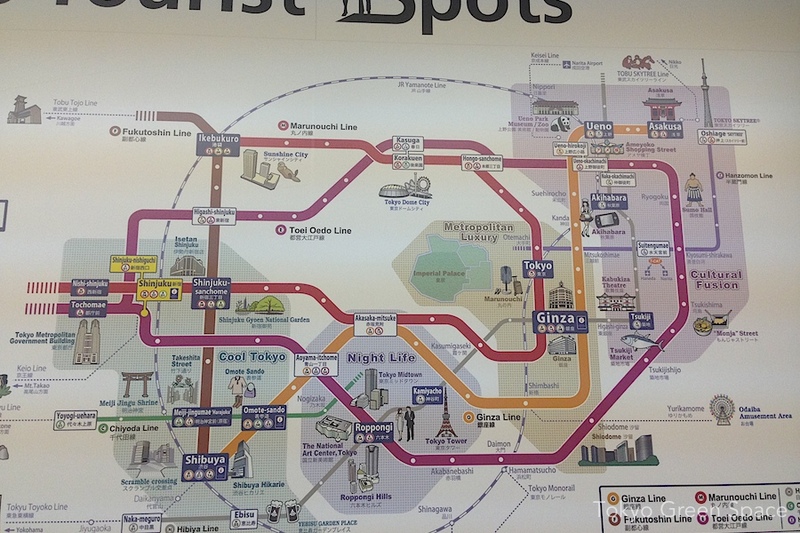 This ambitious vision seeks a 50% reduction from 2000 levels. And to provide a concrete idea of the size of this committment, Hitachi explains that eliminating 100 million tons of carbon dioxide emissions would require a new cedar forest of 130,000 square kilometers, or one third the size of all of Japan. Efforts to reduce carbon dioxide and promote the environment must of necessity focus on cities. According to the United Nations Population Fund, in 2008 more than half the world’s population, 3.3 billion, were living in cities. If the 20th century saw urban global populations rise from 220 million to 2.8 billion, the rate is now only increasing. By 2030, almost 5 billion people will be living in urban areas, with the largest growth rates in Africa and Asia. The UNPF estimates that in 2030, more than 80% of urban residents will be in the developing world. If designed well, the city of the future promises to be most sustainable environment for the world’s population. It is exciting to see how Japan, with its 30+ years in energy efficiency and bold new ideas, is becoming a global leader in smart growth, technology and the environment.